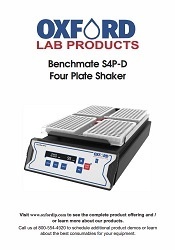 The Oxford Lab Products BenchMate S4P-D Four Plate Shaker has unique features and characteristics that provide flexibility for users and scientists. 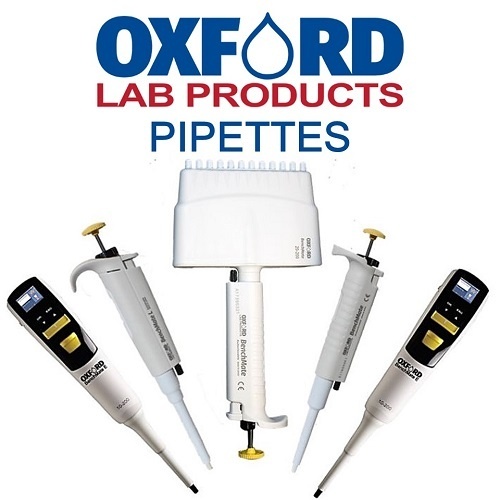 With a programmable pulse mode that allows for vigorous shaking, a last run memory feature and compatibility with all standard skirted microplates, scientists will be able to accelerate the amount of work they can perform with the Oxford Lab Products BenchMate S4P-D Four Plate Shaker, improving efficiency and throughput in the lab. The BenchMate S4P-D Four Plate Shaker has a 3 mm orbital motion for thorough mixing of solutions in microplates. The programmable pulse mode for vigorous shaking alternates the rotating direction from clockwise to anticlockwise, giving the most thorough mixing. The BenchMate S4P-D Four Plate Shaker has an adjustable speed range from 200 to 1200 rpm. 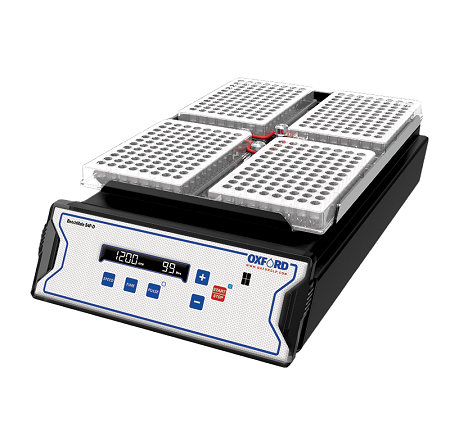 The variable timer of the Oxford Lab Products BenchMate S4P-D Four Plate Shaker ranges from 1 to 999 minutes, or infinite mode. The central rubber O-ring of the plate shaker provides a firm grip for holding microplates securely in place. The BenchMate S4P-D Four Plate Shaker allows the user quick and easy access to all 4 plates for loading and unloading plates. The unit is compatible with all standard skirted microplates and is easy to clean and maintain. Pulse mode provides alternating clockwise and counterclockwise rotation every 30 seconds, for the most vigorous shaking requirements. Variable speed range from 200 to 1200 rpm. Adjustable timer range from 1 to 999 minutes, or infinite mode. Rubber O-ring design provides a firm and secure grip for holding plates in place, even under vigorous shaking parameters. Spill safe operation even at high speeds. Programmable pulse mode allows for even more vigorous shaking, utilizing an alternating clockwise to a counterclockwise rotational pattern. Compatible with all standard skirted microplates. Easy access to all 4 plates for loading and unloading. Microprocessor controlled digital display and control panel (ideal for GLP laboratories). 3 mm orbital motion for thorough mixing of solutions in microplate wells. Brushless DC motor for a more robust and powerful performance.